November came up faster than I thought and I made all the arrangements for the Stanley Hotel where my friend, Tina, and I would be staying. The Stanley Hotel has some great history and is a gorgeous place with a very Victorian feel to it. Below is a slide show of the drive on out there. We passed a huge pumpkin patch that was just wild to see! Check it out! Somehow, I got lucky enough to book the room that is right next to the famous Stephen King Suite. 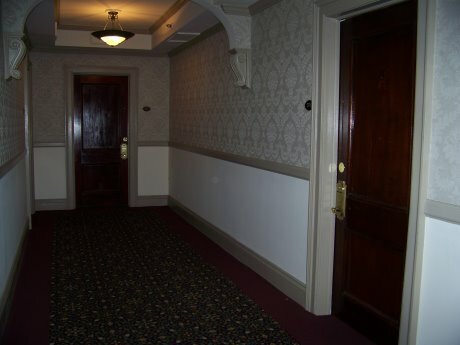 In the below picture, you can see the suite is the door down the hall and the first one there to the right is where I stayed. I had gotten there to the hotel a day early and stayed with another friend and we began to notice that whenever we would talk in a louder than normal tone, the lights in our room would flicker. I didn't think much of it at first but I did ask the maid and the service staff as well as the lady at the front desk if our room happen to have had any electrical issues? All that we asked said no and gave me this weird look. The maid seemed a bit frightened and anxious to get out of the room. That night, I kept getting woken up to a rustling sound. It was my friend whose leg kept twitching and wouldn't stop! It was happening all night long and drove me batty! I tried to figure out what the sound was and moved my leg over the blankets and realized my friend's leg was on the outside of the coverlet and not in the sheets. When we got up in the morning, I asked my friend about it and he said he could not get his leg to stop either and it drove him mad! He said he would not go back to the Stanley ever again, he was so spooked by it! The next day, my friend left and then Tina arrived while I was in the registration line. I had arranged for her to be picked up from the Denver airport and brought out to the Stanley by the shuttle bus. It is a long drive and it's expensive for the shuttle. In hindsight, I would rather have had a car so I could go down to the town below the hotel where there are a lot of great little shops and restaurants. 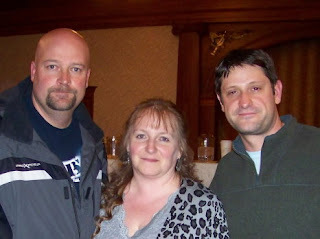 organized this event for Jason and Grant of Ghost Hunter fame. This was a huge spectacular event and Dave did a great job in keeping everything as orderly as possible! The line was huge as there were about 200 of us there. 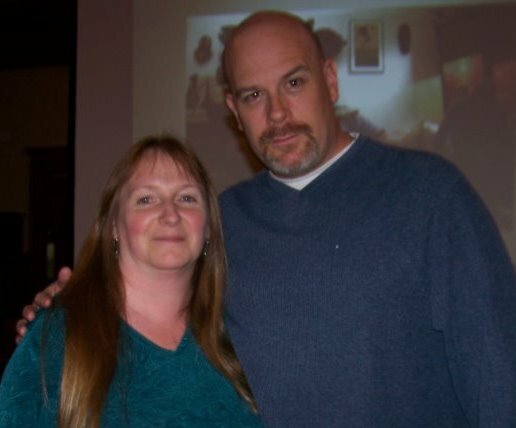 All sorts of people, some fans and ghost hunters, some came alone and some in groups. It was incredible! I got my badge and we were introduced and got to meet all the people who were presenting at the event. Patrick Burns of Haunting Evidence, Father Andrew Calder--Demonologist, Jeff Belanger--author/researcher, and Bill Chappell--Engineer & Developer.I also met Scotty Roberts who was offering tarot readings and Paranormal Sarah who was offering energy readings. Plus, can't forget Dave of Darkness Radio who is a phenomenal host! 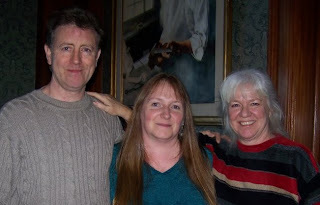 I was able to arrange a reading with the Parrys that weekend and met them in their hotel room. I was unsure how this would go but it had been a long time since I had gone to a medium or psychic and I like to do so every now and then. 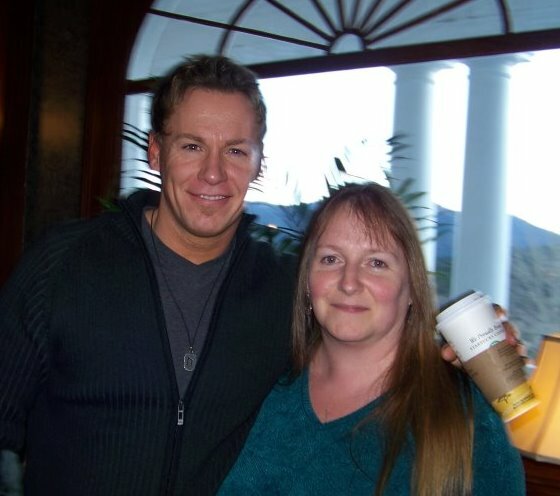 Michael and Marti were both very nice. They taped the session and gave me the cassette and allowed me to tape it also with my own digital recorder. 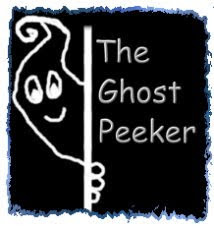 I was very impressed as there were a lot of things they could not have known nor did they lead me to statements for I am one to clam up when it comes to these type of readings and I do not help a lot. They said outright at the onset of the reading for me to not help them at all nor volunteer any information. My time ran beyond what we had set and we just chatted and went a bit further and I found it all very insightful and helpful to me. Many of the celebrities seemed a bit standoffish at first and I am sure they were overwhelmed with the amount of people there but once you are able to talk with them, they are very friendly and nice. You will hear me talking and asking if the energy is the maid next door? It is purported that there is a ghost of a maid in the Stephen King suite so I figured with us being in the room next to it, that it might be her. Now remember, that there was only myself and Tina in the room and no one else. Take a listen and you be the judge as to what you hear. She looped it and cleaned it up a bit for you so can hear it clearly. Needless to say, we were excited about discovering this! The energy moved over to the door of the room and then disappeared. We didn't get anything else in that room but more things happened that weekend!